Attorney General William Barr is showing his real priorities. Yesterday, Attorney General William Barr announced that he will redact “grand jury material, classified information, material tied to ongoing investigations, and information that could harm ‘peripheral third parties’ from the Mueller report. Today, CNN reports he is creating a team within the Department of Justice to scrutinize the origins of the FBI’s investigation into President Trump’s alleged collusion with Russia and obstruction of justice. These stories make one thing abundantly clear: Our Attorney General is far more concerned with protecting the President than he is with pursuing justice. This chaos of the Trump era can cloud our view of government, but it is crucial to remember that the AG is supposed to be an independent actor - responsible for enforcing the nation’s laws, not for safeguarding the President. 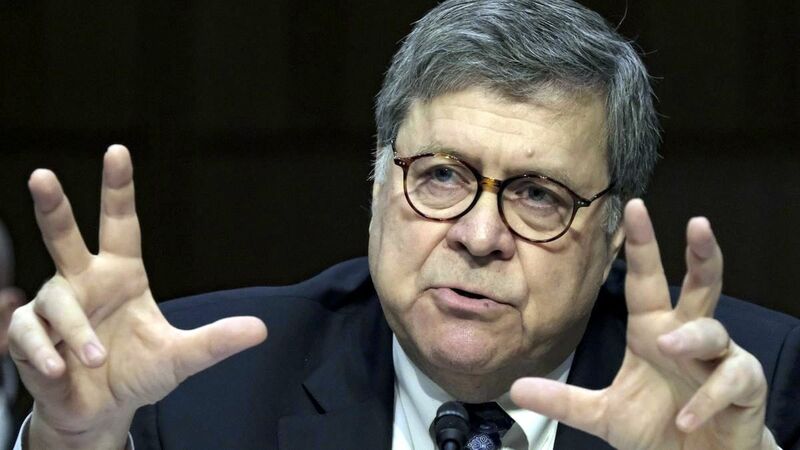 William Barr’s actions reveal that he has wholly abandoned his constitutional obligation - becoming more lapdog than watchdog. The American people deserve to see a full, unredacted version of Mueller’s report. A public servant tasked with upholding legal integrity should not fear the truth coming to light. Instead, our Attorney General is taking direct orders from the President’s Twitter feed and treating the folks who called attention to our President’s lawlessness as if they were the real criminals. The Bible reserves special condemnation for public officials who use their power to maintain injustice, and rightfully so. While everyone should be forthright and honest, this is doubly true for people in positions of power and authority - because their dishonesty and self-dealing has disastrous consequences for the people they rule. Our Attorney General’s obsequiousness must be understood as part of a broader assault on checks to presidential power. Just last week, President Trump said, “frankly, we should get rid of judges,” revealing his contempt for an independent judiciary. It would seem his attorney general agrees. Contact your representatives and demand they advocate the release of a full and unredacted Mueller report. God, you call us to walk in openness and truth, yet we find ourselves governed by rulers who prefer secrecy and lies. We trust that you will expose their mendacity, unravel their deception. Please, bring wrongdoing out of the shadows, that it may wither beneath the sun. In the name of the one who said that we would know the truth and the truth would make us free - Amen.